President Vladimir Putin decided there shouldn’t be a centenary commemoration this year for either the February or October Revolutions of 1917. Instead, he recommended confining the interpretation of the events to “experts”. Before that, Putin confided publicly his opinion that the Bolsheviks had caused Russia to lose World War I by collaborating with Germany. Never mind the view of the experts that the strongest source of public support the Bolsheviks had in 1917 was that they – unlike Tsar Nicholas II, the Provisional Government which replaced him, Prime Minister Alexander Kerensky, or the socialists – wanted to stop the war, and also the home front violence on which the tsarist order depended to rule. Thinking about that, however, has political implications for the present; that’s to say, for the presidential re-election campaign which concludes in seven months’ time, on March 18, 2018. Violence, inequality, foreign intervention, national elections, civil war – that’s a highly inflammable combination in Russia, still. The president hasn’t wanted to add fuel to the flames, and that’s why there is no public commemoration of the Revolution this year. No debate among Russian experts either. 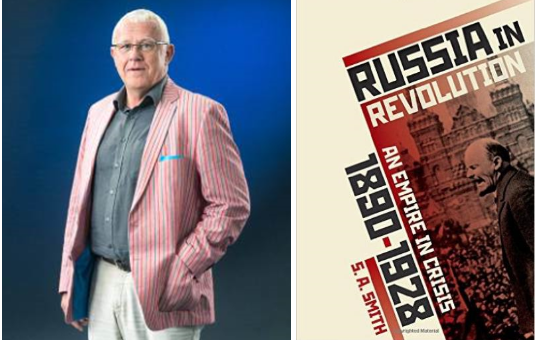 Stephen Smith is a British expert, with an earlier book on Red Petrograd, the role of the city’s factory workers in the events of 1917 and 1918, followed by a comparative history of the revolutions in Russia and China. His fresh book, Russia in Revolution, An Empire in Crisis, 1890-1928, is being reviewed by the experts, most of them non-Russians. Smith leads the recommended historians in the list compiled by the London newspaper owned (for sale) by National Reserve Bank proprietor and occasional Kremlin critic, Alexander Lebedev. Left: Oxford University historian, Stephen Smith; right, his book, which is available from Amazon. Smith has marshalled relatively new archive evidence, as well as summarizing the arguments which the experts have been waging for a century, to draw two conclusions about the Russian attitude towards political violence. The first is that Russians are opposed to it; the more they suffer from it, naturally the more adamant their opposition. Smith’s second conclusion is that the greater the social, economic and political inequality between Russian people, the more likely they are to use violence against each other. The third conclusion Smith draws is that the foreign rivals of Russia, starting with the quarter of a million men in the allied armies of intervention in 1918-19, cannot exploit the fratricide Russians will inflict on each other. This is because the foreignness of the invader temporarily diverts Russian violence into love of country and unity for driving the foreigner out. Regime change on the point of foreign bayonets doesn’t work, Smith’s history reports. But regime change may occur in Russia (and did in 1917) if there’s enough domestic violence to force it. Who wins then, Smith has found, isn’t always the best armed, trained, or ruthless. Accidents, misjudgements, misfortune, and the weather can also be decisive. For a story of what happens when historians run into accidents, read this review of Smith’s book. 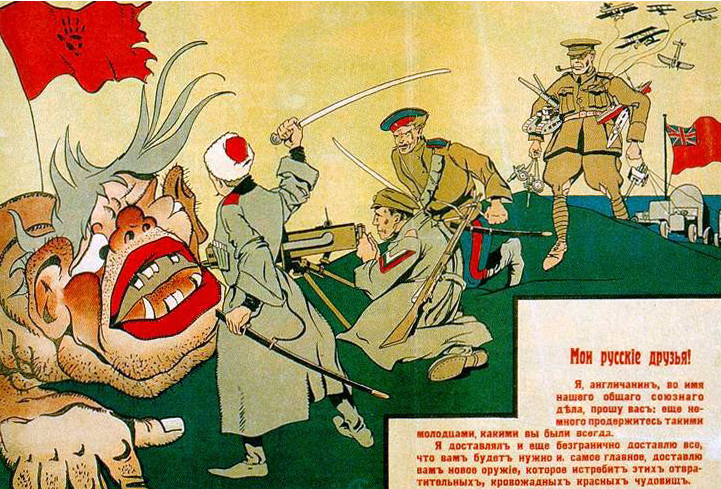 A White Army poster against the Bolsheviks from 1919. The Russian text says: “My Russian friends! I am English. In the name of our common alliance I am asking you, great as you are, to hang on for a little while longer. I am delivering everything that you will need, without limit. And most important, I will deliver to you new arms for annihilating those horrible, bloodthirsty Red monsters.” Smith records the Napoleonic scale of the invasion of 1918-20 – 50,000 men landed in the northwest around Arkhangelsk; 60,000 in Crimea, the Ukraine and the Caucasus; 150,000 in Siberia and the fareast – altogether, 260,000. According to Smith, few Bolsheviks though there were in Russia at large, in the military, or in the organs of power elected across the country after the tsar’s abdication, the Bolshevik position against the war was the view of the overwhelming majority of Russians. One of the reasons for the failure of other political groups to win or hold power during 1917, including the anti-Bolshevik left, was that they were not so categorical, nor so convincing in their repudiation of the violence which had consumed Russia since 1914 – directly in the form of capture and casualties on the front (2.3 million, more than 60% of the army); and indirectly from the collapse of grain production, consumption, wages, and working conditions in the rear. This said, Smith’s grand conclusion of his history of the year of revolutions, the war against the invaders, and the civil war which followed, is that once exposed to violence, Russians always make their political choice for the least violent alternative. This finding makes Smith’s history a guide to Russia’s future. It’s a lesson in the history of making the best of a bad lot. Since the new war against Russia began in 2014, it has been the foreign plan that if enough pain is inflicted on the Russian people economically, especially their businessmen, they will rebel against their leaders in the Kremlin. Combined with economic warfare and fighting on the Syrian and Ukrainian fronts, the plan also calls for a home-front campaign against the corruption of Russian capitalism, its cronies in the Kremlin, and the party of thieves and swindlers which dominates the State Duma. Smith’s history demonstrates why this is bound to fail. 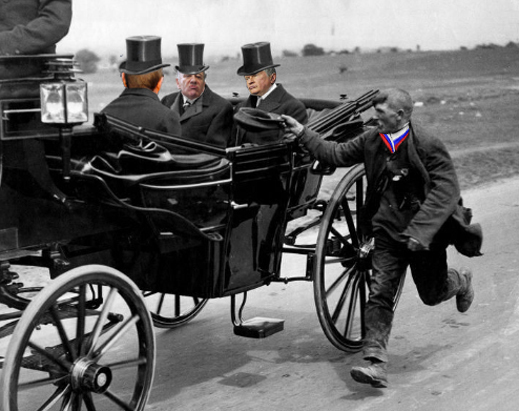 In time, the irony will be obvious that a century of US Government schemes for regime change in Russia have come to nought, except in one place today – that’s in Washington, DC, where a revolt against the sitting president, not seen since the American civil war, is under way. Until the American war against Russia collapses for domestic American reasons, all the war does is to make Russian regime change less likely. The unequal price Russians are paying for this war will continue growing, but the history lesson is that Putin is bound to grow stronger unless he makes Tsar Nicholas or Kerensky-sized mistakes.